The first quilt I completed this year named itself, as many do. It is called “Fierce Little Bear.” The bear in the name refers to the bear’s paw block that centers it. “Fierce” and “little” describe the owner of the quilt, my niece, a petite young woman who has faced tragedy and trial with grit. I started the project last fall with a bear’s paw block, made with fussy-cut paws. In a post called Transformation, I showed you the beginning of it, including changing corner blocks to the dark blue you see below. I’ve mentioned (many times, probably!) that I’m trying to learn how to tell stories better with quilts. There are many ways to do that, including the choice of fabrics, block style, and layout. Any words or pictures added through appliqué or other means can help tell a story. Another way to tell a story is with the quilting, which was a big part of my plan with this one. Because I wanted the quilting to be special, and because my machine was having some erratic tension, as I continued to quilt, I checked the back every couple of minutes to be sure it was going okay. Now mind you, “checking the back of the quilt” while it’s on the frame usually means getting on the floor, scooting under the frame, craning the neck while holding a light up to the back, scanning across all the work done, burrowing back out from under the layers, and standing up again. All doable, but not always comfortable. With holiday and project interruptions, I finished quilting and binding it early in January. At that point, the next step was delivery. My niece lives near enough to see in person but far enough that it requires a special plan. And then! Then I saw that IQF had a call for entries to the Chicago show in the spring. One of their exhibits was Midwest Traditional quilts. Well, what could be more traditional than a medallion? So I entered it, putting off delivery of the quilt to my niece. It was not accepted — I think their idea of traditional was somewhat different from mine — but I’m glad I tried. Finally at the very end of March, Jim and I took a short trip to see my niece Emily and her dad, who is my brother. I had three quilts with me and said I just thought she would enjoy seeing them in person, since mostly she sees my work on facebook. I showed one, then another. And then I had her open the third, Fierce Little Bear. Below is a gallery of photos of Emily examining it with her husband Adam. Click on any to open and embiggen. A close look at the stitching on front. Fierce Little Bear. 67″ x 67″. Finished January 2018. Photo by Jim Ruebush. 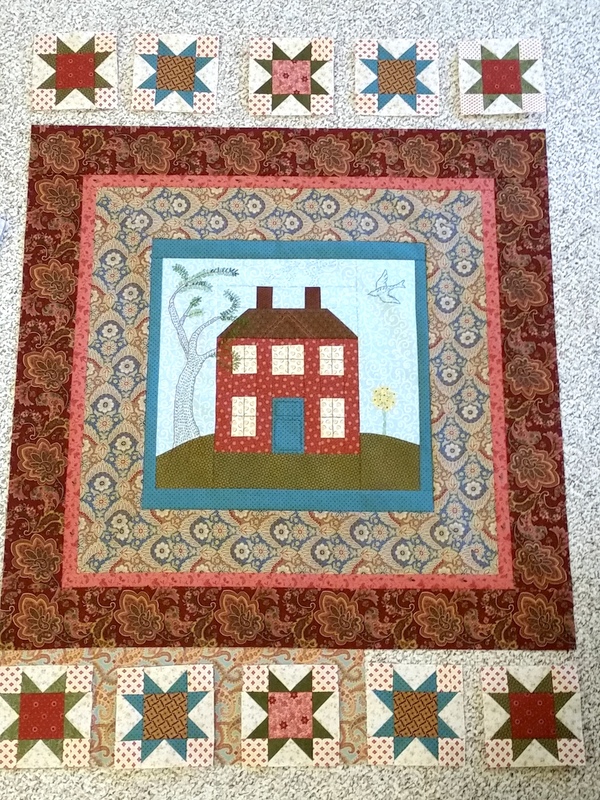 The piecing design of this quilt, along with the fabrics, begins a story. The bear’s paw center is a traditional block design. Each of the “paws” is fussy-cut from fabric designed by Julie Paschkis. Here are two of them. 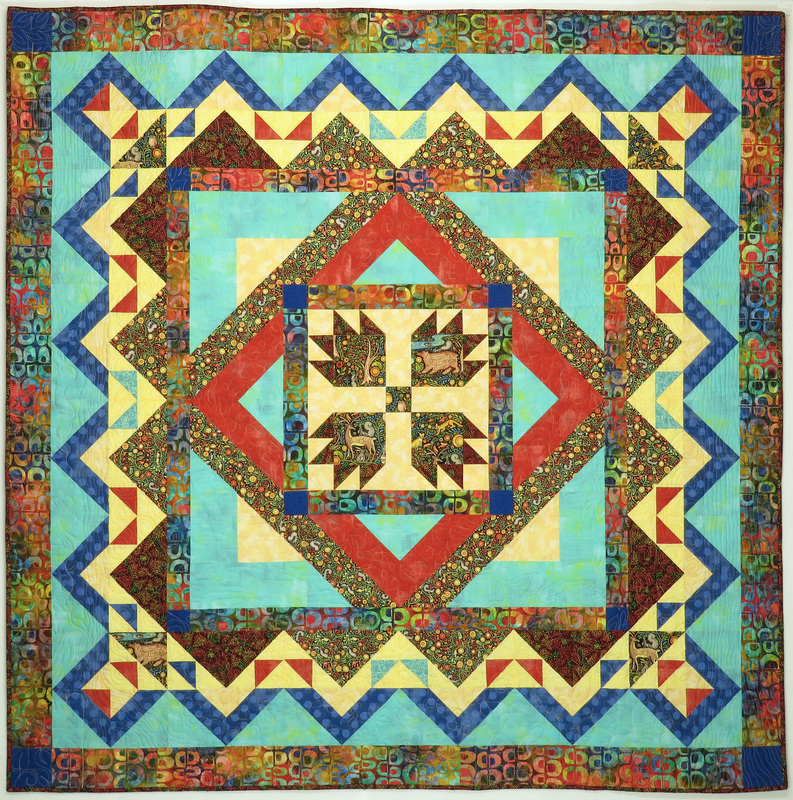 The inner borders of turquoise and yellow create a faux-on-point setting, and also allow the illusion that the center block and its batik border float on top of the rest. The middle borders are intentionally sharp and jagged, and have a subtle reference to Native American designs. And the outer border repeats the batik, tying it all together. The quilting finishes the story. It reads from left to right as a whole picture framed by trees on either side, canopied in leaves and clouds. At the base is a field of flowers. Butterflies float next to the tree trunks. An owl hides in the tree on the left, while a squirrel is on the lower right. And a fish swims in an aqua pool. You truly can’t see the detail without close examination. Here are a few pictures to give you a taste of it. This is a very long post and I am omitting so many pictures I’d like to include, but you have to stop somewhere. The last photo I’ll show will give you different information. 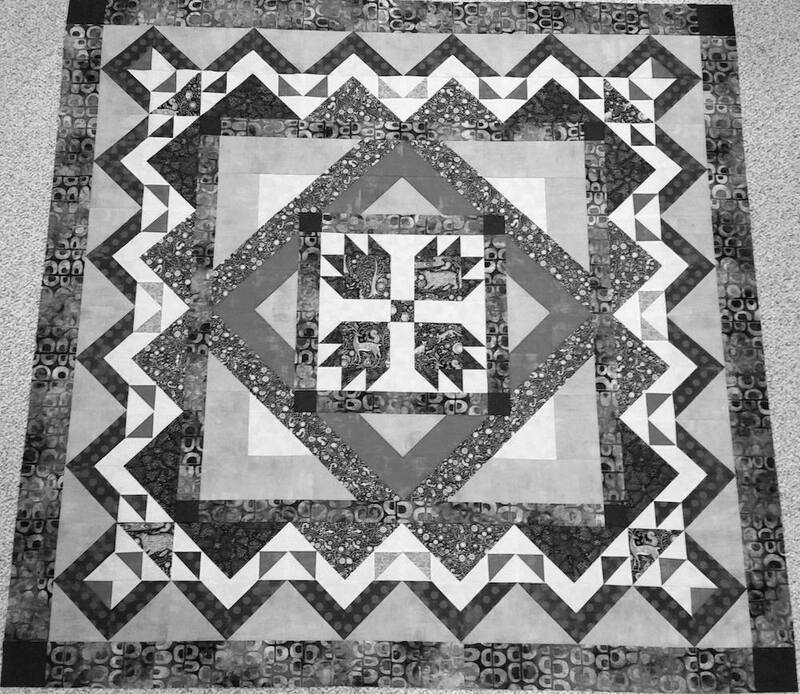 It is a black and white image of the top, prior to quilting. While I made this, I fretted a lot, hoping it would turn out well and suit my niece. She is strong and vibrant; she loves the outdoors; she is generous and kind; and she is unique. That’s what I wanted the quilt to be. Over and over I showed photos of progress to my brother, and he continually encouraged me, reassuring me that she would love it. But the colors, though beautiful, are no one’s idea of an expected combination. Finally, I looked at the top without color, in the black and white version above. And finally I was reassured that it worked. Exactly as I wanted. 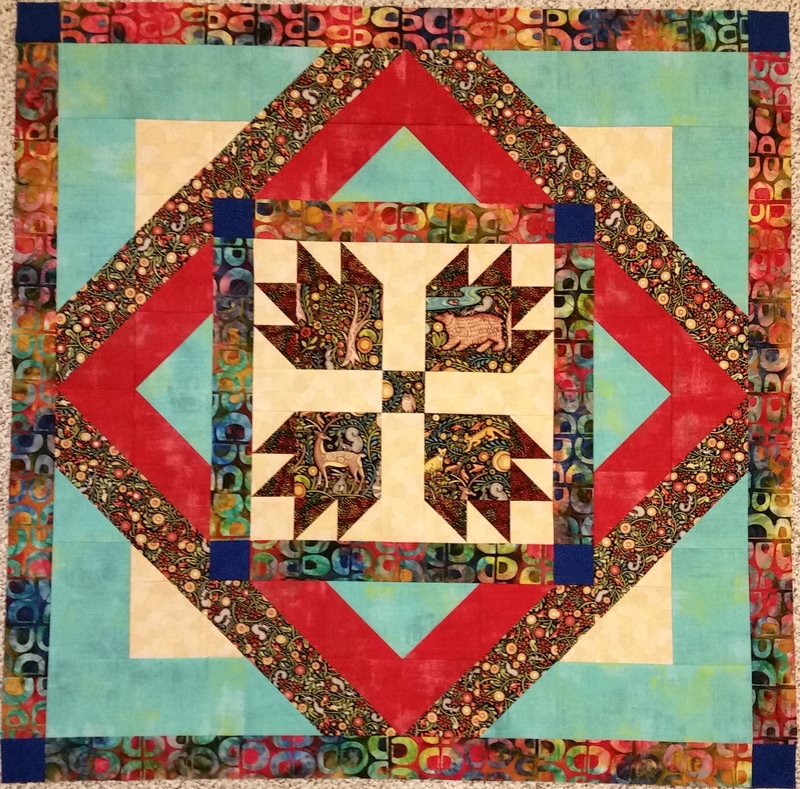 This entry was posted in Medallion Quilts, Quilting and tagged Bear's Paw block, Design-As-You-Go, Machine Quilting, Medallion quilt, Original design, Process, Storytelling on June 21, 2018 by Melanie McNeil. As I work on another project, I’m mulling over the meaning other quilters give to the idea of “improv.” This is a long post, so thank you in advance if you choose to read. Improvisation often implies just winging it, or spontaneously reacting. However, great improvisational speakers are prepared, understanding their topics and practiced in persuasion. Great jazz improvisers have tremendous musical training and preparation. They may not plan their improvs, but they aren’t just “winging it.” The inspired creativity of extemporizing is built on the rest of the written piece. It generally has structure and form, following loose rules not obvious to the untrained listener. A post on Disc Makers Blog quotes an interview with legendary jazz pianist McCoy Tyner. Tyner said that he doesn’t practice for improvisation, but what he does is to compose a lot. To him, improv and writing music are the same in many ways, but improv is composition on the spot, in real time. In quilting, this would be as if designing a quilt and “improv” quilting are the same, except that improv is a faster process. I’m not sure that’s how I see it, but I’ll get to that in a moment. Quilters often take a different view altogether. Somehow “improv” has come to be seen as a style. Think Gee’s Bend. Or think of a number of different books on quilting improv. As I look at the covers in Amazon, they all feature quilts with seams that aren’t straight, points that don’t match, non-standard blocks or traditional blocks that are done in a wonky style. To check on my impression of this, I googled “what is improvised quilting”. 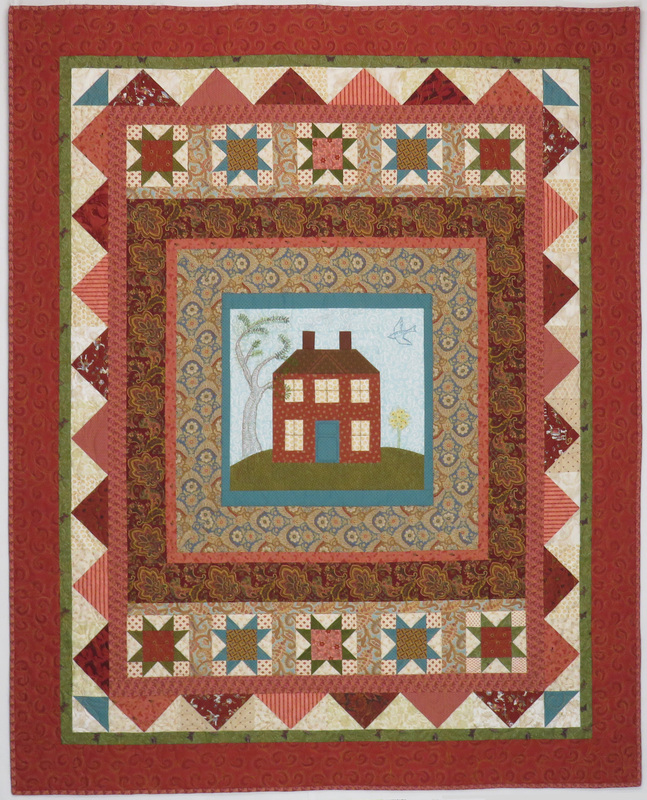 One of the first posts is the gallery of photos from the Modern Quilt Guild. All the photos on the first two gallery pages are styled with the characteristics I mentioned above. … taking a traditional pattern and making it without measuring pieces or worrying about perfect points. This often makes it wonky. … sewing together random bits of fabric to become bigger pieces of fabric. These can be used on their own or as part of something else. … taking a certain cut of fabric and sewing it to another with no preplanning about what goes next to what. Free form piecing. … changing course midway – once, twice, or thrice (or more) – because you can. 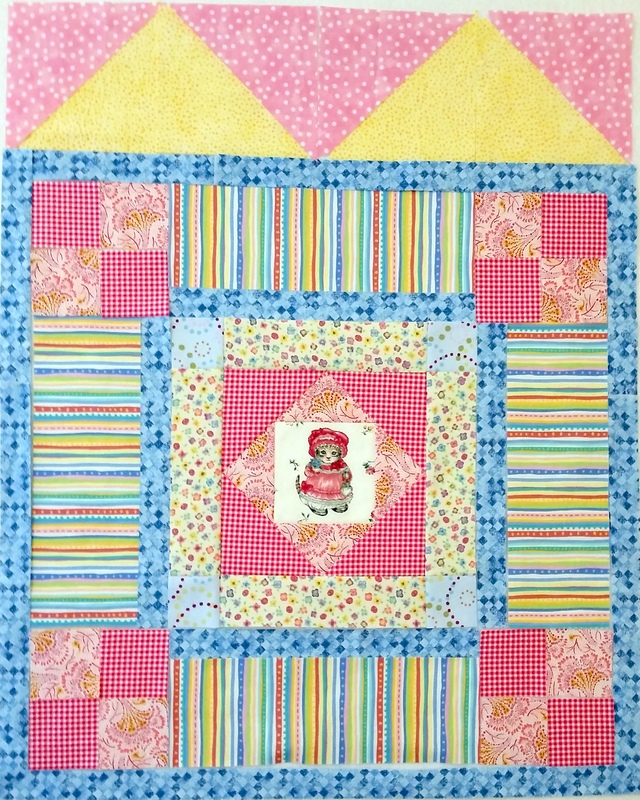 … an attitude that allows you to not freak out when something goes wrong or off track while piecing a quilt top. 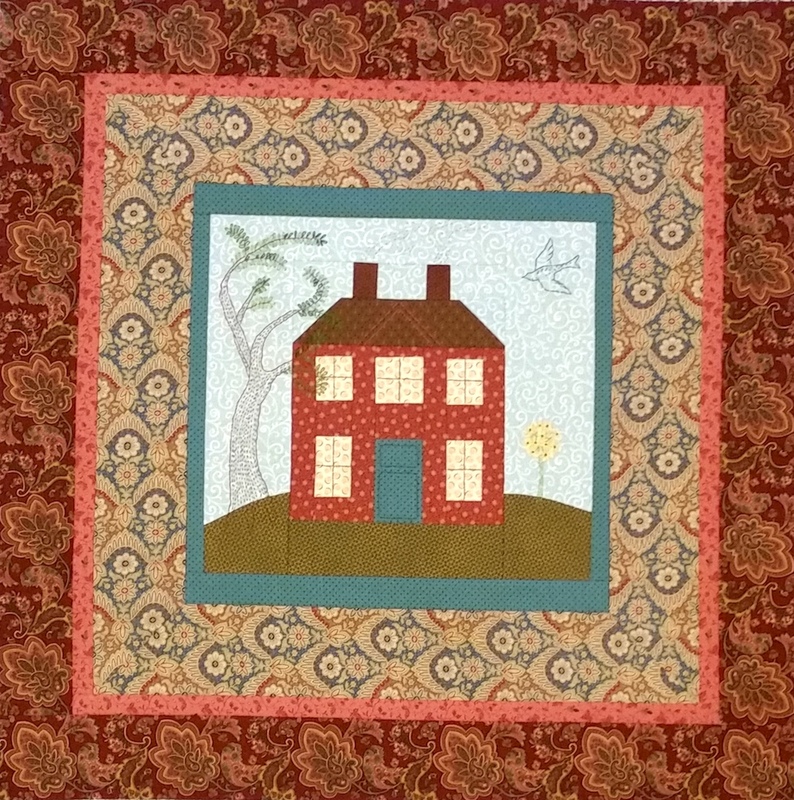 … being open to the direction your quilt takes or being okay with scrapping it when you hate it. … as much about the process as the product. If you look at this through the eyes of the Modern Quilt Guild, I expect this would not be considered improvisational. But they don’t know about my process, do they? They don’t know that this started as a strip quilt, not a medallion quilt. They don’t know that the house was my design, and that it looked empty and lonely by itself, so I decided to add mullions on the windows and moulding on the door, and a tree. Or that the tree continued to grow without a plan, as trees do. They don’t know that the bird once lived in an anthology of children’s stories and poetry. They don’t know that my process included choosing teal to frame the house, because teal would repeat the color of the door and feed well into the other fabrics I already chose. Or that I began with scraps of border stripe in a variety of lengths, none more than a few inches long, and found to my surprise that with careful piecing I had enough to miter them into the corners. Surely that is improvisation! They don’t know that the next two fabrics were chosen after audition, or that their widths were determined based on what came before, what the fabrics themselves offered, and the potential for what will come next. They don’t know that this is another pink and brown quilt, because it is NOT! Because of improvisation. And what will come next? I don’t know!! I still have 112 flying geese made for my strip quilt, and it’s possible that about half of them might fly around the edge. Or maybe not. My process allows me to make that decision when I am ready to make that decision. You don’t have to give up rulers and measurement and high-quality construction to make improv quilts. Your points can all be perfect, or not. To me, the real process of improvisation in quilting is that of making one decision at a time, and being open to the notion that any decision you make might be wrong, and call for a change. It is not a style, it is a process I’ve also called Design-As-You-Go. It is what I teach in my Medallion Improv class. It is how I prefer to work, even though I often switch to design software to choose my later borders. That too is part of an improv process, because I leave open the possibility (which often happens) that I will not like what I designed with software, and I try again without freaking out. In fact, I believe medallion quilts are uniquely perfect for improvisation. Because you make one border at a time, you can make one decision at a time. 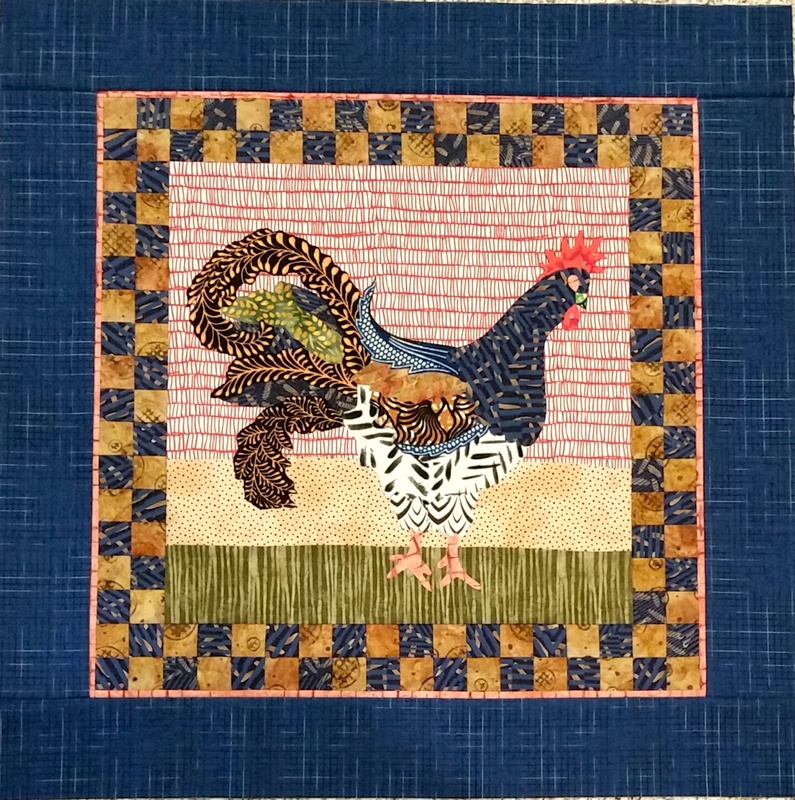 This entry was posted in Creativity, Medallion Quilts, Quilting and tagged Design-As-You-Go, Improv, Improvisation, Improvising, Modern Quilt Guild on January 28, 2018 by Melanie McNeil.